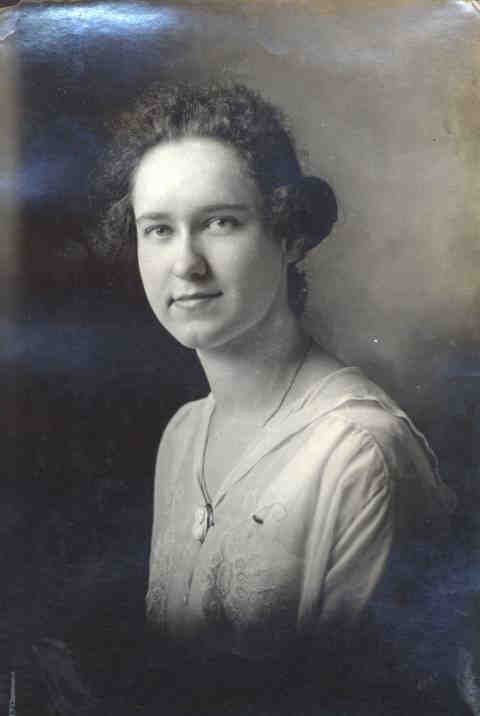 Alice May Colby was born June 2, 1899 in the house she resided all her life. The home is located at 409 Maple Street, Ypsilanti, Michigan. She graduated from Ypsilanti High School in 1917, Cleary College and State Normal Training School (Eastern Michigan University) in 1919. She taught business education in Milford and Briton Michigan until her marriage. She was a member of the First United Methodist Church of Ypsilanti, Michigan. 1920 Colby Alice M, Tchr, bds 409 Maple St.
1920 Colby Earl N (Alice M), Trav Slsmn, res 409 Maple St.
1920 Colby Glenn B, Clk, bds 409 Maple St.
1 Wesley R. Burrell, The Descendants of George Burrell, (Dec. 14, 1978).